"Thank you very much for the messages, but that's not me," Juan Mata tweeted last week. The Manchester United star received his fair share of congratulations after Luis Enrique announced the new Spain squad ahead of the Euro 2020 qualification campaign, although he's not actually returning to the national team for the first time since 2016. Instead, Getafe striker Jaime Mata was called up and is expected to make his national team debut during this international break thanks to his incredible first season in La Liga. The most amusing aspect of this incredible story is that Juan and Jaime are the same age. Both are 30, born in 1988, yet their career paths simply couldn't have been more different. In fact, as far as Jaime Mata is concerned, he didn't even really dare dream of becoming a professional footballer at all. Where Juan Mata fully understood his potential early on and joined the Real Madrid academy at the age of 15, Jaime was planning an ordinary life far away from the spotlight. He is a fervent Real fan and had always adored Ronaldo, but following the Brazilian's footsteps was unthinkable. He just played football for fun, like millions and millions of young men. The tiny outfit from Tres Cantos, in the northern suburb of Madrid where Jaime was born, was struggling, with players going unpaid for months at a time. While Juan was linked to big-money transfers around Europe, Jaime took part in a very unusual protest when Galactico Pegaso players took their pants off on the pitch in protest at owed wages. It didn't help; about a year later, the club was declared bankrupt and ceased to exist. Now that Jaime Mata is preparing to wear the famous Spain shirt -- they host Norway in Euro 2020 qualifying on Saturday (3:45 p.m. ET, ESPNEWS), it's interesting to talk to people who knew him a decade ago when he first started out. "Jaime is a humble worker and an excellent finisher," former Galactico Pegaso coach Miguel Galan told ESPN FC. "He was an undisputed starter for us thanks to his ability to score from any position." "Jaime's work ethic and dedication were extremely rare for a young player at an amateur club. He is very shy and introverted, but showed tremendous enthusiasm. He was really passionate about football," former Pegaso teammate Jesus Camacho told ESPN FC. Oscar Melero, another Pegaso teammate, adds: "Jaime has always been a tireless worker and obviously possessed a winning mentality. His scoring abilities stood out, but there were players who caught more attention because their style was more flamboyant." "When you are playing in the fourth division at 20 years old, people don't look at you," Camacho said. "If anyone had told us that Jaime would end up as a Spain international, I wouldn't have believed them." His own adventure at football ended in 2010 at Socuellamos, where he also played with Jaime under Galan. Jaime joined Rayo Vallecano reserves but never got a chance to be promoted to the senior squad. Even a decent loan spell at fourth-division Mostoles, where he was their top scorer, didn't help. "He was in his 20s already and Rayo saw him as sort of a veteran to play alongside more promising youngsters in the B team," Melero explains. And so, by the summer of 2012, Jaime was released and set his sights on becoming a customs clerk. Initially he studied law at university but then switched to administration, finance and international trade, which would have opened up a decent career path beyond soccer. While Juan Mata was winning the Champions League with Chelsea at the end of the 2011-12 season, Jaime's football life seemed over. Then, rather unexpectedly, an offer from Lleida arrived. The Catalan side had lofty ambitions in the Spanish third division, and their scouts had heard about Jaime's scoring abilities. The striker had a rather difficult choice to make: he'd never lived outside of Madrid at the time and a move far from familiar surroundings felt quite stressful. In addition, it was a huge gamble to abandon his new plan of a steady career outside soccer but eventually, the passion for football just proved to be too strong. Jaime decided to sign for two years and try his luck on the pitch, never thinking a longer spell outside of Madrid could be possible. "It was the best choice of my life, professionally and personally. Lleida was an incredible experience," the striker said in retrospect. A move to Real Valladolid in 2016 -- again on a free transfer -- initially felt like the wrong move because Girona were promoted without him, and Jaime was played out of position on the left wing at his new club before eventually ending up on the bench. However, everything changed following a coaching change in the summer of 2017. Jaime returned to his natural centre-forward role and started scoring at an astonishing rate. He finished the season with 33 goals -- the most in a single Segunda Division campaign since 1987 -- and added two more in the playoffs as Valladolid celebrated a very unexpected promotion. It was so unexpected that Jaime didn't really believe it might happen. In the first game of 2019, Jaime scored against Barcelona and exchanged shirts with Lionel Messi after the final whistle. The swap was symbolic; Jaime's been unstoppable ever since, with only the Argentine superstar more prolific in Spain this calendar year. 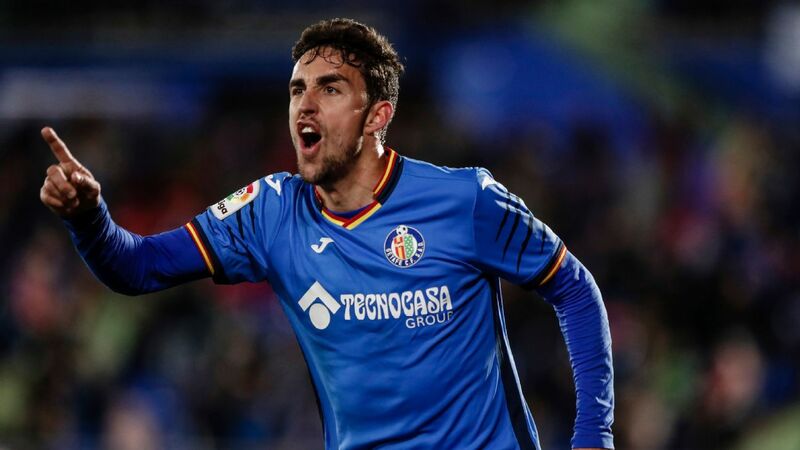 With 13 goals, Jaime is the top Spanish-born scorer in the league and he's added six assists as well, directly contributing to 19 of Getafe's 36 goals. The modest outfit on a shoestring budget are now fourth in La Liga with a fighting chance of qualifying for the Champions League, and Jaime's part in the success simply cannot be overstated. Luis Enrique couldn't ignore his current form and now, in a fun twist of fate, Jaime is the best Mata in Spain. "The call-up of Jaime Mata is a tribute to all those footballers who play in lower divisions under the illusion that they're good enough for more," Camacho says. "It is a miracle. There is a one-in-a-million chance of that happening." Yet Jaime doesn't see this as the pinnacle. "Jaime can improve further, and he will continue to rise," Melero claims. "I have a feeling that he will score on his international debut." The latter remains to be seen -- Spain host Norway in Euro 2020 qualifying on Saturday (3:45 p.m. ET, ESPNEWS) -- but keep this in mind: Juan Mata only netted 10 times for Spain. 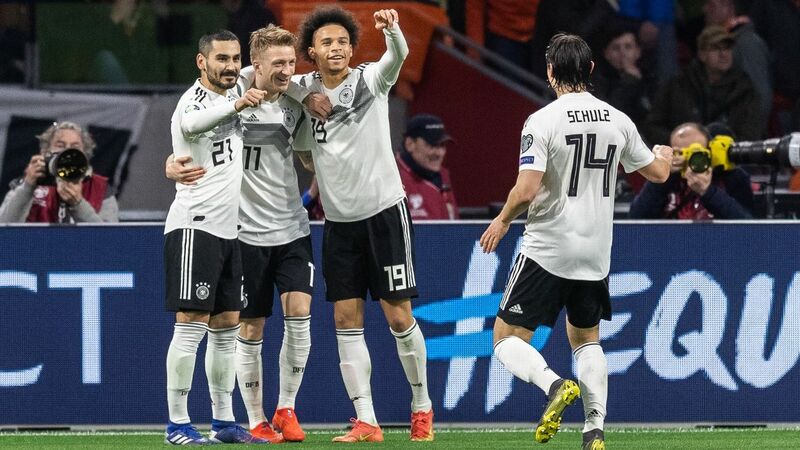 With Faroe Islands and Malta in their Euro 2020 qualifying group, there's a possibility that Jaime Mata could reach that particular milestone by the end of the year.